An Idea: How to Offer Even Better Service at Trade Fairs! At the end of September, we took part in the Subcontracting trade fair in Tampere, Finland. For our part, the event was a success, and we are already looking forward to the next important trade fair, the Railway Interiors Expo 2017 held in Prague next week. Even though Subcontracting and Railway Interiors differ from one another quite a bit, they both greatly support us in reaching our sales targets. 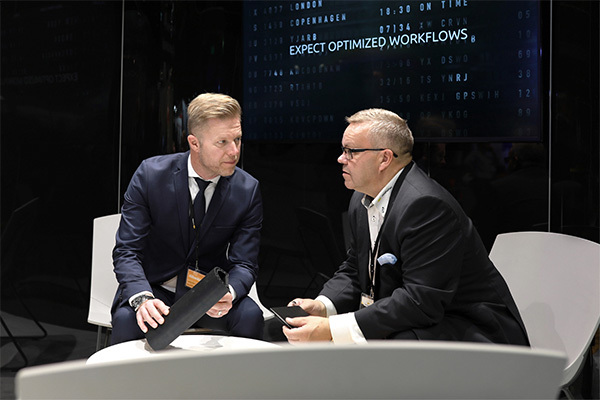 Over the years, Subcontracting has sealed its position as the leading trade fair for industrial companies in Finland. There are plenty of opportunities to meet with customers, and you will never know when a potential new contact might approach your stand to discuss the sealing-related issues they are facing in their process. Railway Interiors, on the other hand, gives us the opportunity to meet a customer segment that is a niche, yet extremely important to us: the rail industry. We have developed special solutions for the industry, and in Prague we are going to be actively presenting them for this particular target group. Quite a difference, then, in comparison to Subcontracting. FinnProfiles at Subcontracting trade 2017. Nevertheless, during both events we are faced with our customers’ issues, and our sales team is doing their best to help them tackle any challenges. In a recent meeting concerning our trade fair activities, we asked ourselves the following question: Is there any way for us to serve our customers even better during these events? A point was made that it is sometimes only after the event that we are truly able to address the issue brought up by the customer. To improve our service during trade events, we came up with an idea: What if our designers were also part of our team? The idea was met with great support, and the decision was made to have our designers join our trade fair team starting from next year. In short, we will offer you even better service at future trade events – there and then. 29.11.2018 | Blog Note from the Fairs: Let’s Plan a Seal in Time, Together! 20.04.2018 | Blog The next step towards Japan’s rail and marine markets has been taken! 08.11.2017 | Blog An Idea: How to Offer Even Better Service at Trade Fairs!